Thanks to the amazing young musicians from the local Suzuki Hub, led by Kate Conway, who were our guest performers – and collaborated on our version of What the World Needs Now – you were staggeringly professional and proficient on your instruments, you are all stars. Finally, we’re incredibly proud to be able to support charities locally and internationally. 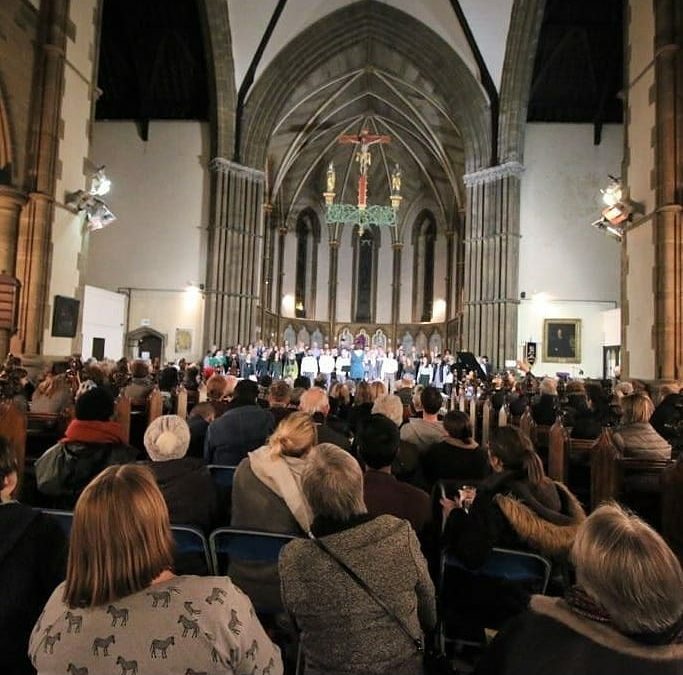 This term’s concert raised £374 for Ingeenium, a local participatory play charity founded by one of our sopranos, Jessica Boatright. That means in the past 5 years VPS has raised over £15,000 for charity (£15,013.64 to be exact!). To all the singers past and present, you’re brilliant, thanks for making this choir special so special!